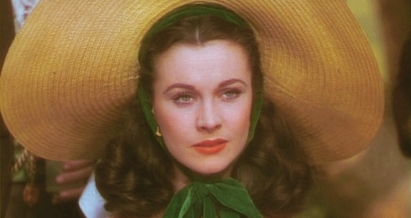 Scarlett. . Wallpaper and background images in the Gone with the Wind club tagged: gone with the wind scarlett ohara vivien leigh. This Gone with the Wind fan art contains sombrero, snap brim hat, boater, leghorn, panama, panama hat, sailor, skimmer, and straw hat. There might also be dress hat, high hat, opera hat, silk hat, stovepipe, top hat, topper, beaver, cavalier hat, slouch hat, pith hat, pith helmet, sun helmet, topee, and topi.